Two different types of “rejuvenated” stars have been discovered in the central region of the high-density star cluster Messier 30. Stellar collisions and “vampirism” phenomena are thought to be the processes responsible for this cosmic “face lifting”. The discovery is the result of a study performed by an international team of astrophysicists leaded by Francesco Ferraro of the Astronomy Department of the Bologna University and published in the thursday 24th December issue of the prestigious journal Nature. 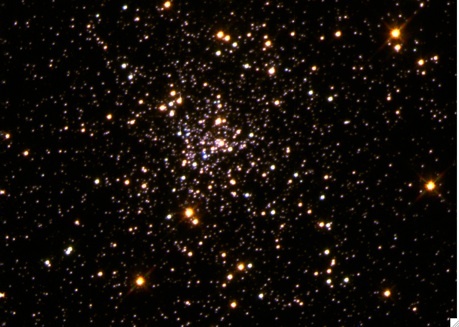 Messier 30 is the globular cluster where the two populations have been discovered. It is a swarm of several hundred thousand stars all formed 13 billion years ago and located about 28000 light-years away from Earth. ”Indeed we were very surprised to see that M30 harbours two distinct families of blue stragglers. Over the last 10 years our group has investigated blue stragglers in several clusters but we have never seen a similar population.” says the team member Giacomo Beccari from the European Space Agency (ESA). “Our observations demonstrate that blue stragglers formed by collisions have slightly different properties from those formed by vampirism. This provides a direct demonstration that the two formation scenarios are valid and that they are both operating simultaneously in this cluster” adds the team member Emanuele Dalessandro from UNIBO. Messier 30 (also known as M30 or NGC 7099) is one of the 150 globular clusters orbiting in the Halo of our Galaxy. of about 28,000 light-years away from Earth. Its has a fairly dense nucleus which has undergone the so-called core collapse process. The core of the globular cluster M30. This is the image that revealed the existence of two distinct families of rejuvenated stars in this stellar system. It has been obtained with the Wide Field Camera 2 onboard the Hubble Space Telescope by combining three sets of images in different filters. A detailed comparison with theoretical models allowed scientists to date the epoch when the star “face lifting” process occurred. In fact, researchers conjecture that one or two billion years ago, Messier 30 underwent a major dynamical process known as “core collapse” that started to throw stars towards the centre of the cluster, leading to an impetuous increase of the star density. 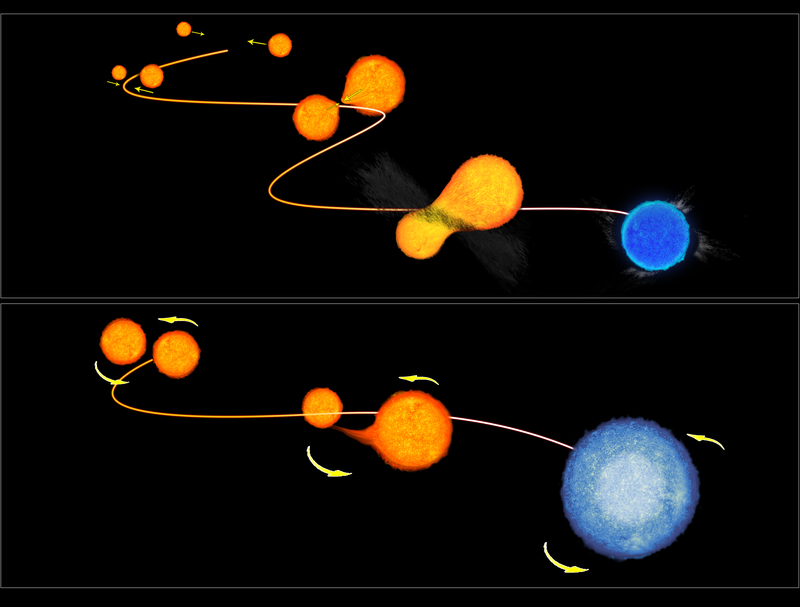 This event significantly increased the number of collisions among stars, and favoured the formation of one of the two families of blue stragglers. On the other hand, the increase of stellar crowding due to the collapse of the core also perturbed the twins systems, thus favouring vampirism phenomena and thus forming the other family of blue stragglers . “Almost ten percent of galactic globular clusters have experienced core collapse, but this is the first time that we see the effect of the core collapse imprinted onto a stellar population”, says Barbara Lanzoni from the Bologna University. Blue stragglers are generally thought to arise when two stars form a tight binary, or “twin” system. In such a pair, the less massive star would siphon fresh hydrogen from its more massive companion star (vampirism). With the new fuel supply the smaller star heats up, growing bluer and hotter – behaving like stars that are earlier in their evolution. Another possibility are stellar encounters which are more nearly head-on collisions, in which the stars might actually merge, mixing their nuclear fuel and “re-stoking” the fires of nuclear fusion. Merged stars and binary systems would be about twice the mass of the cluster's individual stars. 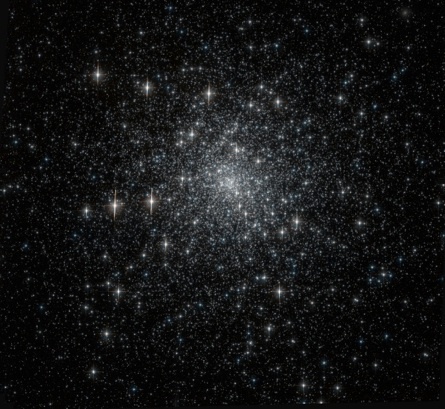 Stars in globular clusters are generally extremely old, with ages of 12--13 billion years. However, a small fraction of them appear to be significantly younger than the average population and, because they seem to have been left behind by stars that followed normal path of stellar evolution and became red giants, they were dubbed “blue stragglers”. Blue stragglers appear to regress from “old age” back to a hotter and brighter “youth”, gaining a new lease on life in the process. Although Blue Stragglers have been known since the early 1950s, their formation process is still an unsolved puzzle for astrophysics. “It’s like seeing a few kids in the group picture of a rest-home for retired people. It is natural to wonder why they are there.This is the reason why we are studying them since 10 years. ” says Francesco Ferraro of the Astronomy Department of the Bologna University (UniBO), leader of the team that made the discovery. Indeed researchers have been studying these stars for many years and have concluded that Blue Stragglers are old, but they have been rejuvenated by a some cosmic face lifting, courtesy of stellar vampirism and cosmic collisions. 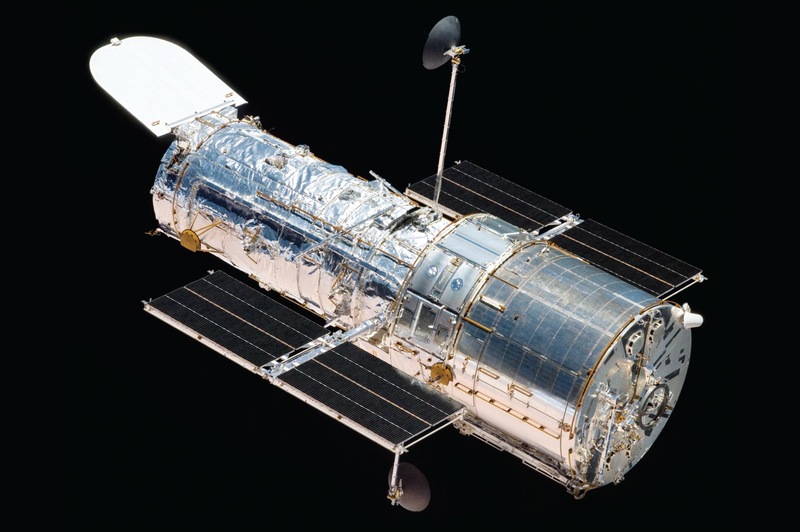 Hubble is a 2.4 diameter telescope and it was carried into space by the Shuttle on 24th April 1990. 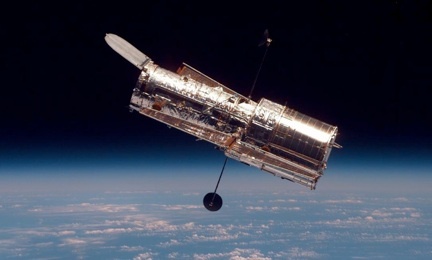 It is named after the American astronomer Edwin Hubble. (to which our eyes are sensitive), and into the near­infrared. In general the observation of Blue Stragglers in star clusters is a quite complex task, since it requires an exceptionally high angular resolution. In fact, once formed, blue stragglers are more massive than the average star in the cluster, and for this reason they tend to sink deep into the cluster the way an heavy ball would sink into a bucket of honey. “For this reason in order to capture the secret hidden in the M30 core we have used an exceptional sequence of high resolution images obtained with the Wide Field Camera 2 onboard the Hubble Space Telescope: 44 images were combined in order to distinguish the two groups of rejuvenated stars ” adds Ferraro. Why do collisions and vampirism rejuvenate stars? The life-stage of a star is essentially driven by the amount of unspent fuel (hydrogen) remaining in its center. Adding fresh hydrogen from the outside either by a collision or by transferring mass from a binary companion in the stellar core, prolongs the life star and makes it look more youthful (blueness and brightness being the attributes of younger stars). Why did we observe two families of blue stragglers only in M30? In the central region of high-density clusters stars live together in a very crowded environment. Just as car collisions are more frequent in heavy traffic, stellar collisions are more frequent in regions of high density. Near misses also have the effect of driving stars in binary systems closer to each other. M30 is thought to have experienced the dramatic dynamical event commonly called “core collapse” during which the central stellar crowding dramatically increases; both Blue Straggler formation paths would be enhanced. Ferraro et al. argue that core collapse in M30 occurred 1--2 billion years ago and generated the two Blue Straggler populations that we have observed today. Blue Stragglers formed by collisions have slightly different properties from those formed by vampirism. In M30 a relatively recent burst of Blue Straggler formation has yielded two distinct populations. In other clusters with more extended Blue Straggler formation periods both types are probably present, but we cannot distinguish the two types because of their heterogeneous evolutionary stages.